Can minimally invasive techniques provide a uterus suitable for transplant? Interest in uterine transplantation for the treatment of uterine factor infertility (UFI) has grown exponentially over the past several years. 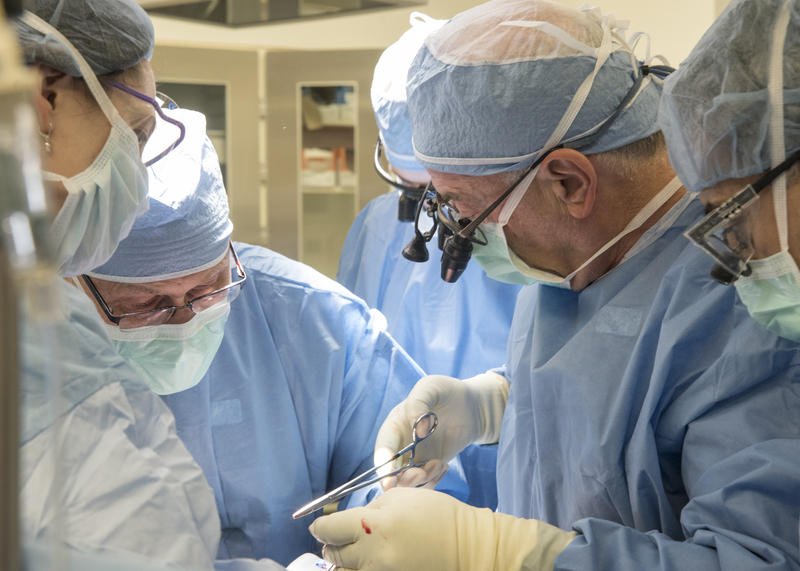 Following the first birth from this procedure in September 2014, multiple centers worldwide have announced plans to perform clinical trials of uterine transplant. A prominent consideration in creating a protocol is whether to select a living or a nonliving donor model and whether a minimally invasive technique can be successfully used to minimize living donor risk. Although this study and others will increase optimism for the possibility of a minimally invasive uterus retrieval, no current protocols in humans or animals have yet reported a successful pregnancy using a minimally invasive approach. Although resumption of menstrual function occurred in this case report within two months of transplant, it is unknown whether a uterus drained by the utero-ovarian vessels will be able to support and sustain implantation and ongoing pregnancy in humans. The future of human uterine transplantation: can minimally invasive techniques provide a uterus suitable for transplant?, American Society for Reproductive Medicine, Volume 108, Issue 2, Pages 243–244, August 2017. Image of Cleveland Clinic surgeons at work performing the first uterus transplant in the US. credit vox.